A stemless wine glass is the younger sibling to the traditional stemmed wine glass. They never argue but sommeliers and wine merchants will often be heard arguing over the two glass variants. 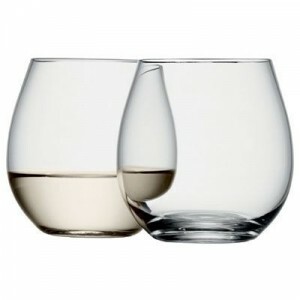 Stemless wine glasses are modern and stylish, offering a new and innovative way to serve wine and a variety of other drinks including fruit juices, soft drinks, water and cocktails. They are perfect for any bar, pub or restaurant as well as in the home, for both formal entertaining occasions and informal meals. We have seen and recorded a growing interest and demand for these glasses over the past few years and expect this to continue to rise in 2013. After extensive research of the latest stemless wine glasses we have finally found and whittled down our favourite five. It was a challenging task which did involve a few wine tasting experiments but someone had to do it! We are proud to stock this fantastic stemless wine glass from the renowned and loved glassmakers Riedel. 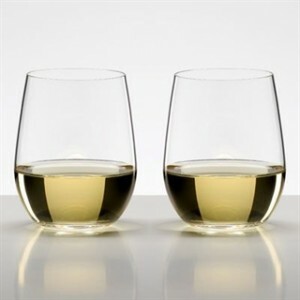 It is by far one of the most popular glasses from the Riedel O Range selection and is an ideal gift or present. 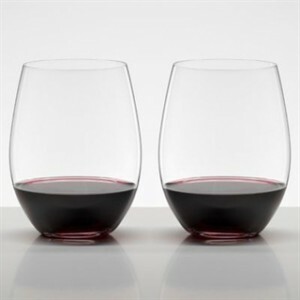 Stemless wine glasses are well suited for red wine and help bring the wine to the perfect drinking temperature. This glass is highly recommended. If you want a stemless glass which can hold white wine whilst looking extremely stylish and elegant, then this is the glass. These glasses make wine tasting enjoyable and interesting. This stemless wine glass will definitely steal the limelight at any table setting. It is highly rated by all our customers and featured in the Mail on Sunday’s ‘2012 Christmas Gift Guide’. This glass is great for drinking all types of white wine, but perfect for Viognier and Chardonnay.. You can envisage this glass becoming one of your ‘regular drinking glasses’, one which you use with pride and joy. We snuck this design in as it pushes the boundaries of innovation and stemless wine glass designs. We can tell you that it is one of our favourite stemless wine glasses because it beautifully displays a drinks colour, whether that is wine, water or beer. This set of two glasses is great for giving as a gift for a special occasion. We absolutely love these five stemless wine glass designs and although they may be in rivalry with traditional stemmed glassware, we feel they are a welcome addition to the glass industry. They offer an alternative to your traditional table setting or to the ‘usual glassware’ served at a drinks bar or restaurant. Will you be trying stemless wine glasses in 2013? Or perhaps buying a set for a wedding present for that special couple? If you need any help or advice choosing stemless wine glasses then please feel free to contact us! You can also share your view on stemless glasses via our Twitter page. Do you love the quirky solid glass design? Or do you feel these glasses are too informal for a table setting? This is definitely an on-going discussion we want to keep tabs on! (No we won’t charge).